This Sunday evening at Tanglewood, current and former members of the Tanglewood Festival Chorus will sing in a tribute concert to their late founder and director, John Oliver. Some may have in mind something Oliver once said, which was cited in his Boston Globe obituary this April. Those words seem ghoulishly ironic now, given the events of the past few months. For dozens of singers, some who have been with the TFC for decades, this concert—along with two other performances this weekend—is the end of their tenure. Oliver’s successor James Burton, who himself passed through an audition process, stunned the TFC this spring with a wide-scale re-auditioning — and subsequent purge — of many longtime chorus members. One-third of the chorus — about 100 singers — were re-auditioned. No official numbers have been released, but it appears that about 30 choristers have been cut, and between 40 and 45 have resigned rather than go through the process. Over the next two years, the remainder of the singers will be re-auditioned as well. Some who will sing this weekend are among those who have been shown the door. Some singers simply disliked Burton or the way the process was handled, and have resigned. Others have passed Burton’s audition, but remain mystified at the scope of the changes. “We thought we were going to be part of something new and better with Burton,” says Stephen Owades, who has been with the chorus since its 1970 inception — 48 years — and was one of those singers who re-auditioned but was rejected. Owades may be on the way out from the all-volunteer ensemble, and he’s understandably disappointed. But he remains level-headed about the process—one that he’s been through before. “I’ve been re-auditioned eight or nine times over the years by John,” he says. Oliver did re-audition his ranks periodically, and he did let some singers go. But never on the scale that Burton is undertaking. And it’s certainly not because the TFC is an all-volunteer ensemble—almost every orchestra in the country uses volunteers, or employs other professional choruses. “Re-auditioning is certainly normal,” Owades says. “Your voice changes. There are certain choruses that have age limits — nobody over 55 can sing in the Mormon Tabernacle Choir, for instance. All of that is perfectly reasonable. Why Burton is making the changes, and whether this does indeed come from other orchestra leaders — specifically music director Andris Nelsons — is at the heart of the chorus’s anxiety. 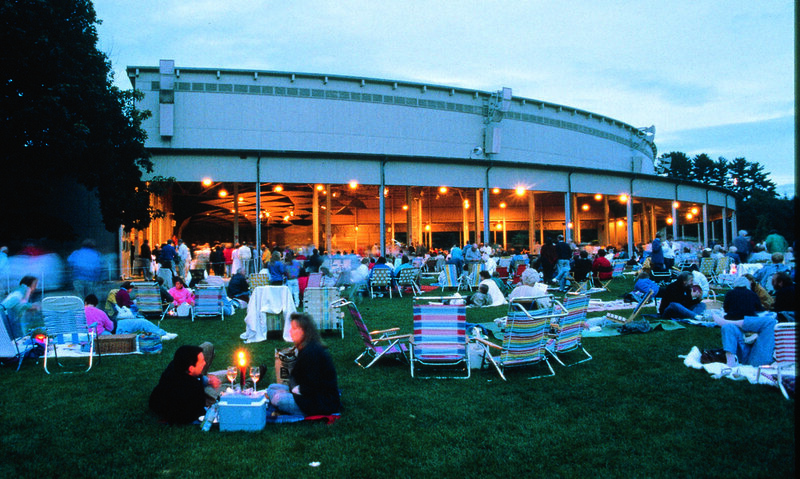 The BSO has provided multiple responses, in the form of joint statements—comments that reflect the combined views of Burton, of managing director Mark Volpe, and of artistic administrator and Tanglewood director Tony Fogg. What kind of sound Burton wants to re-establish to return to those standards, remains a mystery to most. And many are reluctant to talk about that. For two reasons: either the singers have passed his audition, and need to establish a new working relationship with Burton. Or they haven’t been auditioned yet, and don’t want to poison the well. And perhaps where those intentions are coming from, as well. Owades suggests strongly that some direction comes from Andris Nelsons. “We don’t hear a lot of praise from Nelsons,” Owades says. “We always got feedback from Seiji, and from Levine, and from guest conductors. They would at least shake hands with the chorus when we were filing offstage after a major performance. “We never got that from Nelsons. When he was first appointed, the chorus prepared and learned some Latvian songs, and sang them for Andris and Kristine (Nelsons and his then-wife, soprano Kristine Opolais, are from Latvia). The TFC performs three times this weekend—at Oliver’s memorial, and also in Saturday’s “La Bohème” and Sunday’s “Chichester Psalms.” After a rehearsal break this week, Owades says that he “is here to work,” as is everyone else—whether they are singing for the final time or not. But the weekend could be any more bittersweet for those chorus members who will sing for the final time.